I saw this dress on Ruche's website a couple months ago (it's gone now, apparently) and was immediately reminded of Marion Cotillard's daring (and gorgeous) 2008 Oscar dress. 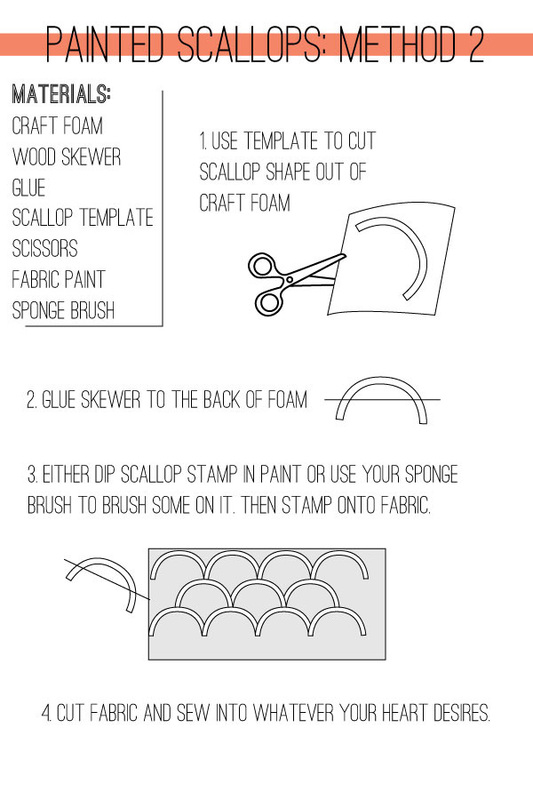 I haven't done any DIY projects for a while and I thought this one might be worth tackling. Eventually. When I got around to it. Then OTI came around forced me to unearth my craft supplies. This should have been a quick and easy DIY but, as per usual, I took a round-about way of getting there. I actually used 2 different methods. One was much more time consuming but yielded better results (except then I screwed it up during the sewing step and tossed it). The second was not quite as pretty but much easier and resulted in the above skirt. I'll tell you about both methods. Both methods use a template but they each use a different template. Both are available as .PDF downloads below (I know! Look at me being all fancy!) (hopefully the downloads actually work). I threw out the top I screwed up without thinking to take any pictures. But this method yields a really nice, solid paint line. Unfortunately, it was ridiculously time consuming. 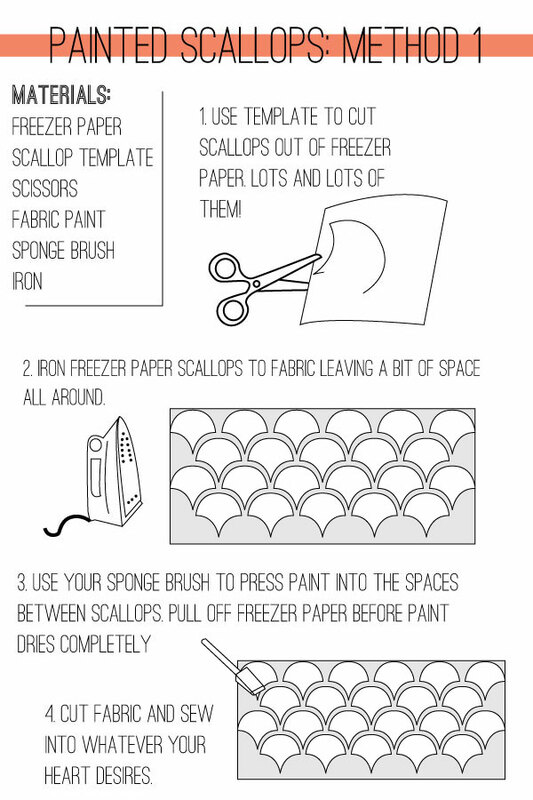 The second method came about because there was NO WAY I was cutting out a million scallops all over again. This is like...lazy scallops. The line isn't quite as nice but it still works just fine! 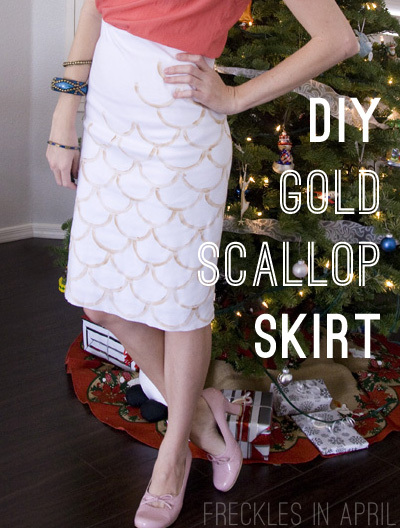 Since I wanted a mermaid look I made sure the rounded side of the scallop was pointing DOWN. In the illustrations the rounded side is pointing up, which creates a more traditional scallop pattern. Either way is good, just depends on what you're going for! I love it! And I love your graphics! Good to hear from you! Way to be! Also, I really miss your blog. My google reader is sad without you. I totally saw you/this post on HowDoesShe...and I was so excited...I even told dallas. You are amazing! We miss you!